CHERRY HILL, NJ, Mar. 03 /CSRwire/ - Subaru of America today announced its continued commitment to the Student Spaceflight Experiments Program (SSEP), through a two-year national partnership with the National Center for Earth and Space Science Education in Washington, D.C. Through the partnership, Subaru will donate $50,000 to the program to support schools in communities across the country that are in need of funding to participate in this education initiative. As a national partner for the past two years, Subaru has already made it possible for nine schools to participate in the SSEP, including middle schools in Pennsauken, NJ; Chicago, IL; Downingtown, PA; Highlands Ranch, CO; Oakland, CA; Rockwall, TX; and San Marino, CA. More than 3,000 students have engaged in and nearly 750 student team proposals were submitted due to Subaru’s commitment. 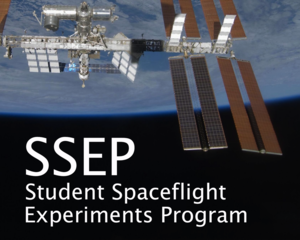 Each community participating in SSEP conducts a local Flight Experiment Design Competition, with their student teams vying to fly in low Earth orbit in a real research mini-laboratory reserved just for their community. Mirroring how professional research is done, student teams across the community submit formal research proposals, which go through a two-step proposal review process to select the flight experiment for the community. The design competition runs a minimum of nine weeks. Center for Earth and Space Science Education (NCESSE) in partnership with NanoRacks, LLC. It is a remarkable U.S. national Science, Technology, Engineering, and Mathematics (STEM) education initiative that gives typically 300+ students across a community the ability to design and propose real experiments to fly in low Earth orbit, first aboard the final flights of the Space Shuttle, and then on the International Space Station – America’s newest National Laboratory.